UPDATE: We have just learnt that Huawei will launch the Y9 (2019) in India on January 7, at an event in New Delhi. The media has already received invites for the same. Huawei is preparing to launch the Y9 (2019) in India. The smartphone was originally revealed in October 2018, but it’s teased in the country today on Amazon India website. The e-commerce giant has made the ‘notify me’ button live and is also taking registrations of interest. Since the Huawei Y9 (2019) and its specs were revealed two months ago, we can expect the smartphone to arrive with similar on paper numbers. Some key features of the new Y9 include the Kirin 710 chipset, 4000mAh battery, and the 6.5-inch display. Although the price is not known, the specifications hint towards a budget oriented price tag. The smartphone has a dual front camera baked inside the display notch and a dual setup on the back as well. 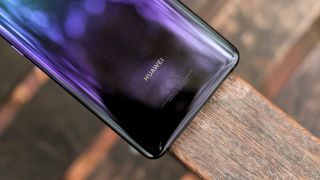 The Huawei Y9 (2019) runs on EMUI 8.2 based on Android 8.1 Oreo. As mentioned, it has a 6.5-inch full HD+ display with a notch on top resulting to 19.5:9 aspect ratio. It is powered by the Kirin 710 chipset and comes with either 3GB/4GB RAM and 64GB storage. It has a dual camera on the rear with a 13MP main sensor with f/1.8 aperture and a 2MP depth sensor with a f/2.4 aperture on the back. On the front, there’s a 16MP+2MP setup. Huawei leverages its AI-heavy camera software to add tons of photography tools and features on top of the hardware. The Huawei Y9 (2019) packs a 4000mAh battery and all the essential connectivity options like Bluetooth, WiFi, micro USB and GPS.